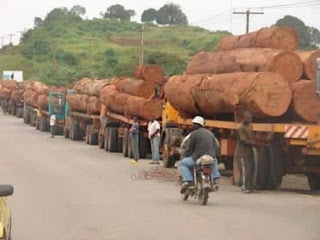 "In another matter Iinvolving the illegal export of timber from Sierra Leone, the Sierra Leone Police are investigating an unauthorised executive order allegedly issued by Dr. Konteh granting an open-ended mandate to Timber Harvesters, Processors and Exporters (SL) Ltd to undertake the export of an unlimited quantity of value-added processed timber, in direct contravention of the approval granted by His Excellency the President for a fixed quantity of 30 containers only." About two weeks ago Dr. Konteh said the relationship between some Cabinet ministers and civil servants has not been one of the best. Konteh was a keynote speaker at the opening of a three day “Leadership for Results” forum targeted at government of Sierra Leone permanent secretaries, professional heads and directors organized by the Office of the Chief of Staff and held on Wednesday 28th May, 2014. Konteh, as chief of staff in the Office of the President, called on participants to point out issues they thought were responsible for the strained relationship between them and politicians, Cocorioko reported. 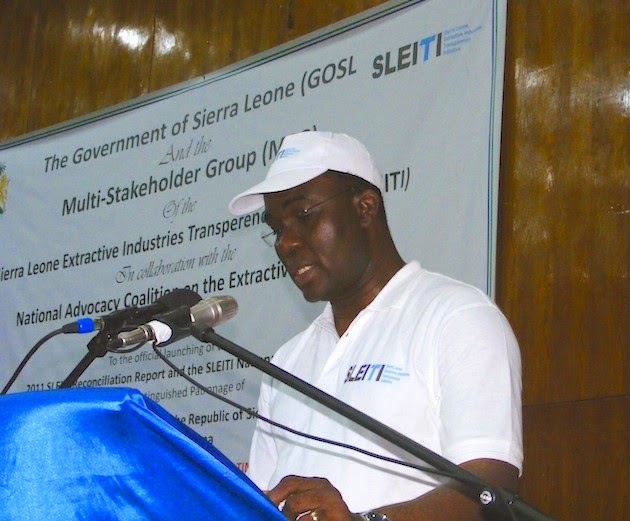 Late April, Dr Konteh told a press conference in Freetown that with Sierra Leone’s full membership of the Extractive Industries Transparency Initiative (EITI) and designation as "compliant" of International Transparency and Accountability processes, Sierra Leonean citizens now stand a better chance to know how government is utilizing money from the mining sector for the benefit of all Sierra Leoneans. Konteh reportedly paid glowing tribute to President Ernest Bai Koroma for "being first ever in the country’s history" to sign a mining agreement in the open and allow agreements to go on the internet, the State House statement said, adding that Sierra Leone’s membership of the EITI process was suspended in 2013 for failing to meet four standards. "The new EITI status was achieved through the close cooperation between the Chief of Staff, Dr Richard Konteh and the national multi stakeholders group which includes civil society, the Media and representatives of the mining companies," the statement read. According to Konteh’s biography posted by the Natural Resource Charter Conference: “Investing Natural Resource Wealth for Sustainable Prosperity,” which was hosted by the Arab Fund for Economic and Social Development, Kuwait in May 2013, Dr. Konteh’s position as Chief of Staff at State House was set up in 2010 with responsibility to coordinate implementation of the President’s Agenda for Change, and, its successor the Agenda for Prosperity, by providing collaborative links and support to Ministries, Department and Agencies. Prior to this position, Konteh was Minister of Trade and Industry and served as Deputy Minister 1 of Finance and Economic Development. After an early career in teaching and lecturing at the University of Sierra Leone, he specialized in planning and program management before advancing his career into management and consultancy. This enabled him to develop an extensive understanding of rebuilding communities and organizations in a post-conflict context. He has used his management and consultancy skills in a range of situations in Sierra Leone, Ghana, Nigeria, Germany and the Far East (Sri Lanka). He has a number of publications in international organizations in the fields indicated above, and he is a member of key international professional organizations pertinent to his field. In 1997, Konteh published data for a study obtained from a survey conducted in 12 villages in Gbendembu Ngowahun Chiefdom, Bombali District in Sierra Leone from November 1989 to February 1990. Konteh was born in Gbendembu. The study focused on socio-economic variables affecting maternal mortality. Related indices identified in the study are age and parity, marital status, educational status, religion and poverty. Other factors are deliveries (where the deliveries are performed and who assists with them); traditional Birth Attendants, attendance at clinics, attitudes and practices of health personnel and the target groups, distance from health facility and transportation, and finally the Primary Health Care program activities. Konteh holds a doctoral degree in regional planning, with specialty in development coordination, from the University of Dortmund, Germany. He has over twenty years of experience and expertise in program and project management, monitoring and evaluation, development planning, capacity building, peace building (post-conflict), coordinating civil society activities, and resource mobilization, the biography said. As Sierra Leone’s new Minister of Trade and Industry, Konteh's credentials dazzled. In a July 2011 interview with the European Times he said he believed that the private sector is the key to Sierra Leone’s sustainable development. Although the “Friends of Dr. Richard Konteh” Facebook page has more than 1,891 likes, closer to home, he was the proverbial prophet without honor in his own town. 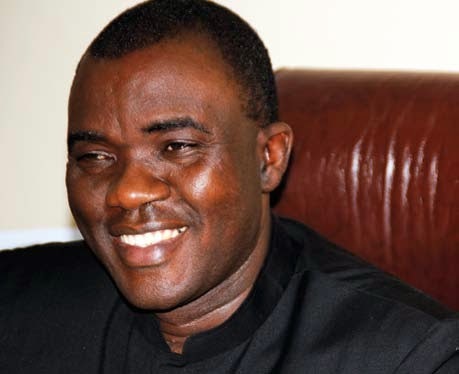 In September 2012, Africa Young Voices newspaper alleged in "Minister of Trade under fire" that Konteh had refused to assist in development of Gbendembu, his hometown, and was accused by his people of being "a distraction towards the development of not only the township but the All People’s Congress (APC) party." The APC holds a majority of seats in the House of Representatives. The source maintained that residents of Gbendembu have planned not to support Dr. Conteh in future because he has not done anything positive to improve the status of his community. When contacted, Dr. Conteh told this reporter that he had nothing to say, adding that as far as he is concerned he is loved by his people. 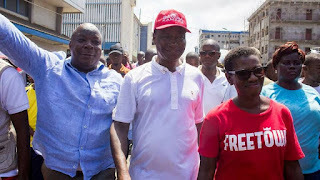 The source added that Dr. Conteh has failed time and again to bring important matters involving the area before the APC so that a prompt solution could be sought. According to the disgruntled parties, Dr. Richard Conteh also failed to carry forward the GO BEFORE Project awarded to them by DECSEC which involved six villages. The source lamented further that the lack of a monitoring mechanism put in place by the government is part of the problem in monitoring projects in their area. The Decentralization Secretariat (DecSec) of the Government of Sierra Leone was established under the Institutional Reform and Capacity Building Project, funded by the World Bank. The bank is yet to comment on today's development.